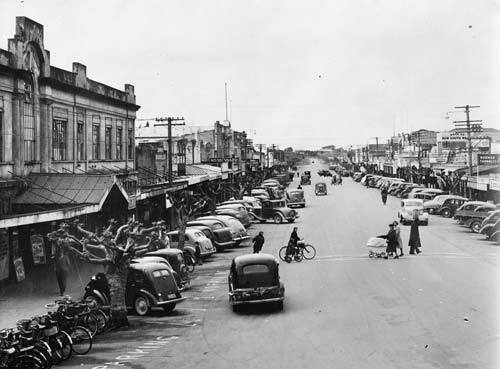 This is the main street of Levin in 1948. The town grew rapidly after 1945. It was on the main highway, relatively close to Wellington, and had ample land for industry.